With the Nintendo Switch and next gen handheld gaming on the horizon, should Sony make Vita 2.0? It’s no secret that the PS Vita has been treated as the forgotten step child by Sony and the sun is starting to set on the aging system. 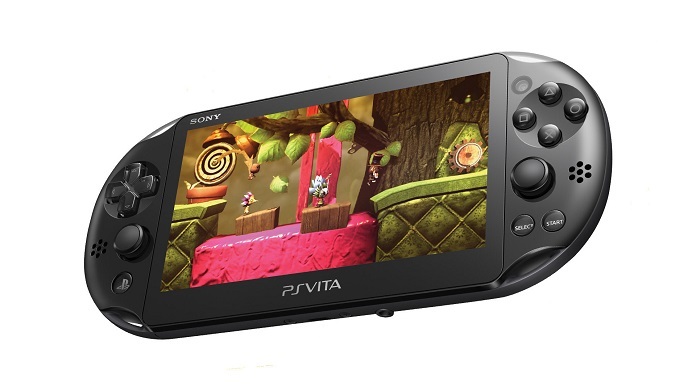 Will the console’s legacy end quietly or does the Vita still have a chance for a comeback? Full disclosure, I am a Vita enthusiast and have happily owned my system since it released. I dropped the full amount for the system, a little more for the memory cards, popped in Persona 4: Golden and haven’t looked back. As Colin and Greg from Kinda Funny Games would say, I am a card carrying residence of Vita Island. The PSP successor, ignoring the PS Go, PS Vita was ahead of its time and gone too soon. Despite it’s slow decline and cult following, I’m here to talk about why Sony should make Vita 2.0. Even with lukewarm reception, the Vita was a work of art. It had a sleek design, two analog sticks, pretty OLED display and could fit comfortably in your hands, pocket, bag etc. Since PS3 was the current gen system at the time, being able to produce PS2 level graphics on the go was no small feat. In comparison to the 3DS, which is a great system, it is surprising to see who ended up the ultimate victor. If Sony changed some outdated features like removing the back touch controls and update the internal components, the current Vita design could still work. The Switch mobile screen looks very similar, minus the analog sticks, so the Vita 2.0 has a shot. Next articleResident Evil 7: Biohazard Is Almost Here!